SOLAR ECLIPSE on SEPTEMBER 13th, 2015 ,NUMEROLOGY: Check for FREE , on How does it affect YOU!!! 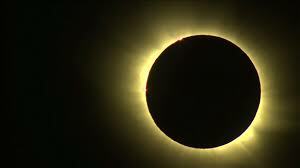 A partial solar eclipse will occur on September 13, 2015. A solar eclipse occurs when the Moon passes between Earth and the Sun, thereby totally or partly obscuring the image of the Sun for a viewer on Earth. A partial solar eclipse occurs in the polar regions of the Earth when the center of the Moon’s shadow misses the Earth. Let’s look at the date of the solar eclipse-its 13th of September. Now 13= 1+3= 4 = is ruled by Rahu = Uranus or Dragon’s Tail. Now Rahu(umber 4) closely connects to number 1 of Sun. That is ruled by LEO. Now as per astrology LEO is ruled umber 1. So this means LEO people would be impacted. This is exactly what Hindu astrology or Vedic astrology says- the eclipse would be in the sun sign of LEO! But as the month is of Virgo, so Virgo people- the number 5 people would also get impacted. Just wait! 13+9(September)+2015 = 3 = Jupiter. So that means People born on birth dates =3 would also get affected. CHECK Your BIRTH DATE based FREE Predictions NEXT FEW MONTHS of effects of solar eclipse- Given below . Check your FREE Predictions for Solar Eclipse Here!!! Overall this time could be of high energy levels for you- but opposition and enmity possible. Ensure you don’t clash with people at home/friends or office and try to. Cooperate with them than taking any opposing view. Let not sudden behavior affect love matters. Guard on your image and health. Overall this may be a tough time mentally. Sudden fears and issue with relationships could crop up. Also there could be ups and downs and unexpected events in matters. The results could be un predictable. Mind has to be kept positive and un affected by negatives. Not great for love or money matters. Trust each other. Your energy levels could be much higher than usual. So be careful on what you say and avoid conflicts with children or friends this time. There is a slight dark lining that is avoid conflict and follow ethics . This is a time you need to respect elders and follow dharma or ethics. Love is fine, but keep an eye on behavior of people. Money matters are not predictable. Use your inner voice in money matters. Money could come in. You may expect surprise. This time is a time for extreme caution- as the energy levels may be very high. But a lot of work can be done. Let not any kind of errant or rebellious behavior from your side get you into any trouble with family/friends or office people. There could be sudden surprises from all fronts-stay away from disputes .Not a great time for money or love matters- but again some surprise could be on the cards. Just OK, there might be too many changes or surprises this time for you to deal on may be family/office or personal front.This could create stress. Guard on what you say or communicate to your loved ones or at office. Money situation is again undefined. Sudden and unexpected changes in life. One has to avoid haste and too much of risk taking in say stocks and money matters. This could be an OK time- take care of females close to you ad also family troubles. There could be some troubles on the way. Success could be hard. You need to take good care of life partner. Sudden responsibilities might come up this time at home or office front. Love and money matters needs special care. Sudden experiences on home front or your responsibilities. Money matters could be changing and un expected results could be there. Either a lot of success or more than usual sudden problems or matters to deal could crop up. So love and money matters need special care and prayers. Unexpected travels or work in some specialized areas could come on your lap. This could be an above average time for you- but one could expect success coming may be after a lot of struggle and problem solving, on the matters of family/friends or office. Planned effort would yield better results. You may have get the kind of work or problems that you have not even imagined- this could surprise you. Work might keep you busy to make love. Yes, money could be good under this vibration- but needs good planning and care. times may surge also suddenly- and cause anger and conflicts. Stay away from conflicts. Sudden fights with near and dear ones could crop up. Money matters could give results- that you may not have thought of- either too good or too bad. Get Your PREMIUM 2015 & 2016 Horoscope – Personalized next 12 months Forecast Report, along with powerful Vedic Remedies Now!